Murphy Dental Group (San Jose) - Book Appointment Online! 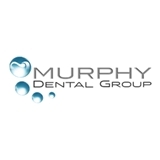 The Murphy Dental Group is dedicated to helping families with all of their dental needs. From early childhood through adulthood, your oral health remains important. With the Murphy Dental Group, your entire family is covered. Keep everyone in your family smiling with regular visits to the Murphy Dental Group in San Jose. Dr. Khehra and her staff were extremely nice and helpful to me in my current situation. I would recommend her 125% to everyone! She is outstanding and very pleasant! Thank you for the great experience.